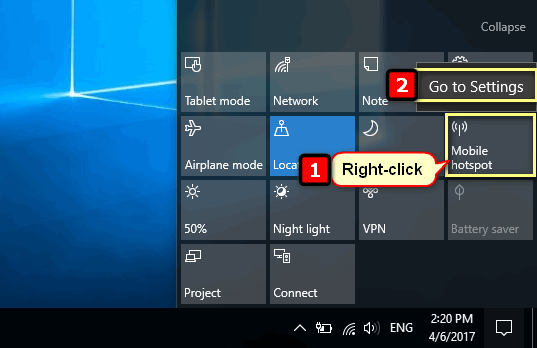 With Creators Update sharing the Internet connection became even more easy in Windows 10. 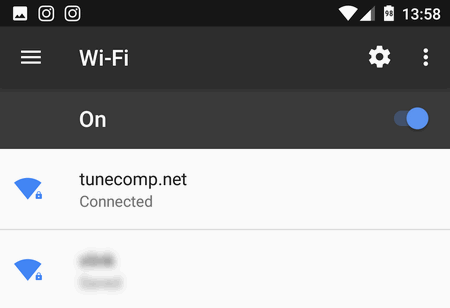 Now you can quickly set up sharing of your wired or wireless connection and instantly turn it on or off when you want to. I mean you don’t have to use command line anymore because AP settings came to Windows 10 GUI. 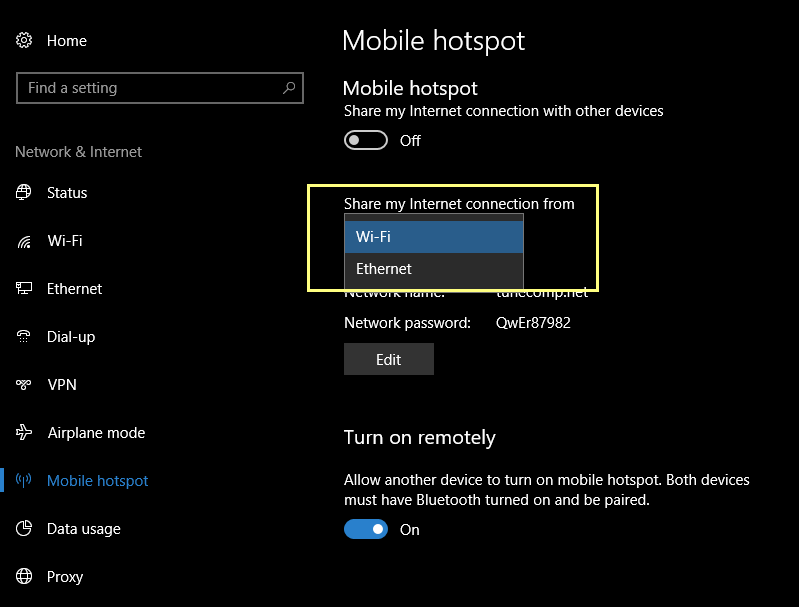 The Mobile Hotspot (software Access Point) feature appeared in Action Center. Here is the step-by-step guide on how to set up the Internet sharing. 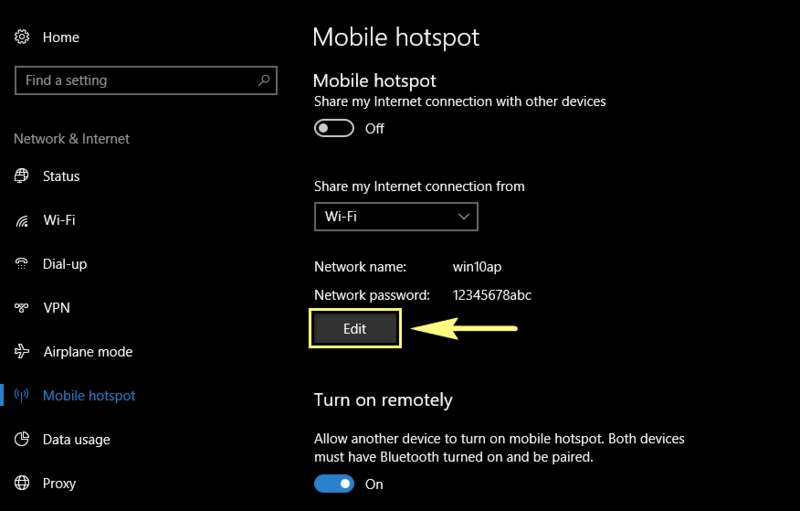 The only thing you need to have in your PC to make Mobile Hotspot feature work is a wireless network card. Thus, you can plug a simple USB Wi-Fi module in to use the feature on your desktop. 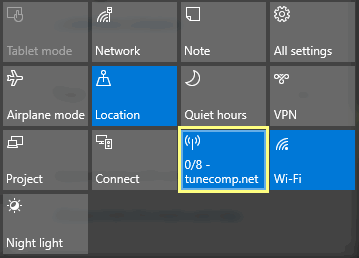 Besides that you can select which connection to share: wireless or wired ethernet. In our case: we would not create a hotspot if we had another working Wi-Fi here. So we select to share our ethernet connection from the laptop. Does my computer need to have a Wi-Fi PCI-e Adapter to get the mobile hotspot? or it will be present even if I don’t have a Wi-Fi card attached to my PCI-e Slot? I’ve turned on mobile hotspot but after installing McAfee internet secure on my laptop,my android phone gets connected but can’t access the internet…what should I do now?? ?